Royal Caribbean is offering two themed cruises in South America for the 2013/2014 cruise season. Royal Life will be offered in February with Royal Dance in April. The Royal Life cruise is a 7-night cruise out of Rio de Janiero on February 16, 2014. 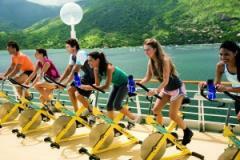 The cruise will offer scavenger hunts for families, spinning classes, pilates and yoga sessions. For the Royal Dance cruise, it will be a repositioning cruise between Santos, São Paulo and Barcelona, Spain. This 14-night cruise is a partnership between Royal Caribbean and the Dance Studio of Fernando Campani. Onboard, the cruise will offer various music rhythm classes to passengers. Both themed cruises will be offered on Splendour of the Seas on itineraries in South America. 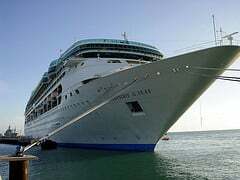 The UK newspaper, The Telegraph, recently sent Jane Archer to review Splendour of the Seas after her $53 million revitalization. Splendour is currently offering seven-night sailings around the Greek islands and Turkey, from Venice through November. In terms of the new changes to Splendour, Archer thought the money spent helped give the ship new life but thinks, "a few more million should have been directed at paintwork and glass, which were looking very shabby in places." In addition, the Centrum was retrofitted and given a new role but Archer wasn't that impressed, "As part of the refit, the atrium was renamed Centrum and given a new role as an entertainment area with girders installed above from which aerialists could perform. It has potential but the one show I saw during a seven-night cruise was most disappointing and over in a flash." Archer also reported that the newly refurbished staterooms do offer new furnishings but the promise of an iPad in every stateroom has thus far only made into the suites onboard. Royal Caribbean's Splendour of the Seas will host the fifth annual Brazil Fashion Cruise in 2013. The event will take place April 7th through the 11th and will tour the Brazilian coast. The Brazil Fashion Cruise ship will bring together the top names in Brazilian fashion, businessmen, journalists and students of fashion. "The event grows each year and, for the anniversary edition of five years plus the attractions on board, prepare actions and parade ground," says Carla Wolff, the Dreamakers Travel & Consulting, creator of the project in partnership with Alba Ferrari Facex partner of Foreign Trade. The event features special programa for students, such as workshops with designers who will be in the line-up. 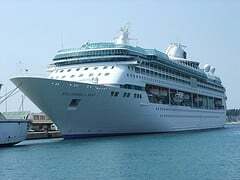 Royal Caribbean's Brilliance of the Seas and Splendour of the Seas will make a total of 40 cruises throughout Europe, with 41 stops in the summer of 2013. 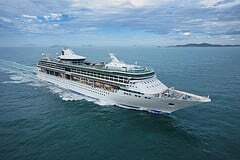 Brilliance of the Seas will depart out of Harwich, England to ports in Northern Europe and the Baltic Sea with 12 night itineraries. Meanwhile, Splendour of he Seas will offer seven-night cruises to the Adriatic and Eastern Mediterranean out of Venice, Italy. 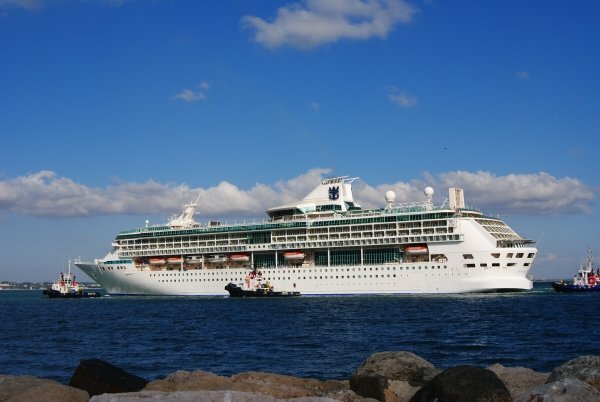 Brilliance of the Seas will begin its summer season on May 15, 2013 and will offer eight trips to and from Harwich to scales and in Copenhagen Stockholm, Helsinki, Tallinn, Gothenburg and St. Petersburg where it gets a night. 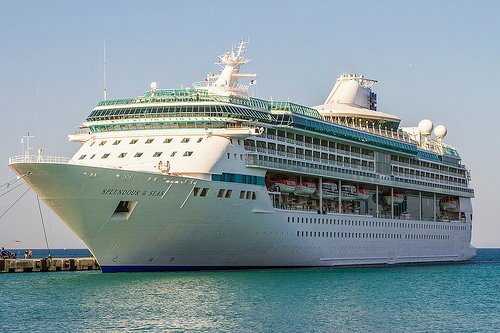 Splendour of the Seas, which was upgraded in November 2011 with new amenities from the Royal Advantage program, will start its summer season on May 5 with a six-night cruise from Barcelona to Venice with a stop in Marseille, Florence/Pisa and Rome (Civitavecchia). 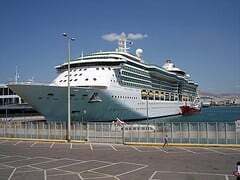 The ship will offer four itineraries, two in the Greek islands, one in the Greek Islands and Turkey, and another in the Greek Islands and Croatia.